Is Jim Iyke & Nadia Buari Engaged To Marry? 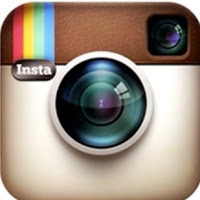 December 14, 2013 – Is Jim Iyke & Nadia Buari Engaged To Marry? Few hours ago, the engagement story of Nollywood actor and reality TV host, Jim Iyke and his Ghanaian girlfriend, Nadia Buari went viral. According to the unconfirmed reports, the lovers might be heading down the altar soon. The duo are yet to confirm or debunk the story. Another source said Jim Iyke who recently auctioned off everything inside his untamed clothing store in Abuja might be relocating to Accra Ghana soon to stay permanently with his girlfriend. 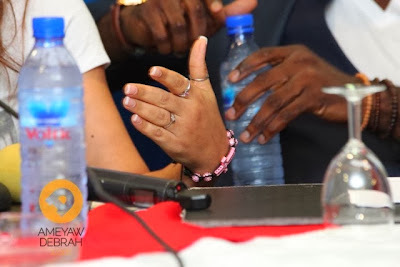 Take a closer look at Nadia Buari’s wedding finger in the picture above, does that look like an engagement ring? Wedding Bells For Jim Iyke & Nadia Buari? Is Jim Iyke & Rita Dominic Getting Married? Hey pals, let‘s nt push dis guy in2 hasty decision. D issue of marriage is a very serious 1 dat 1 rily need 2 b very very careful b4 goin in2 it. D criteria of a GOOD WIFE is nt just bin beautiful n rich. Maybe dia is smtin Jim is seeing in Nadia dat d whole Word is nt seeing. Afterall, if nt on d screen, most of us if nt all, hv neva bin close 2 dem in anyway 2 b able 2 unstnd dem well. Besides, wat they do on d screen r just make blv so dat we cannt use dat 2 claim 2 knw dem. We only recognize dem dat‘s all. Anyway, D Hunter wishes dem all d best of luck n compliment of season, i quit. Jimmy pls stop to delaying and I bet you,you will not regret ever marrying her. As for me,she has rings on almost all her fingers,so I don’t think that its engagement ring cos if it’s,I trust actresses with their acting. She will not hesitate to anounce it. Naijagists be Specific!!!. Why is it that you always hide Nadia’s picture when u bring tales about her and Jim ? Most of the pictures of Nadia that you used to bring were either not clear or did not look like her!Look at the two pictures you used above. Jim could be identified but no one could confirm the identity of Nadia! There are just two adults satisfying each others sexual desires. No commitment today or anytime in future. Engaged?… I’m not sure if marriage is in their dictionary .They ‘re only rehearsing for a new movie. selling his stuff and relocating to Ghana..hope he wont run back to naija when the fire becomes so hot..well,they are grown adults and should play whatever game they want. At last,all that ends well,I pray is for real.